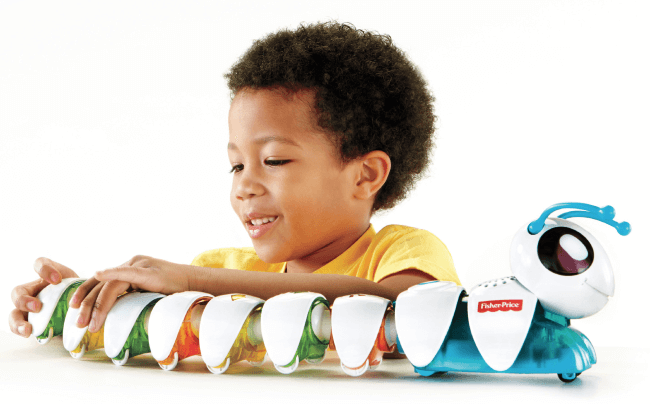 Code-A-Pillar features 9 easy-to-connect segments that preschoolers can arrange and rearrange to “tell” the toy how to move forward, left, right, wiggle, dance or even wait for a couple seconds before moving again. Kids can configure the segments in such a way that the Code-A-Pillar can reach targets they set up throughout the room. 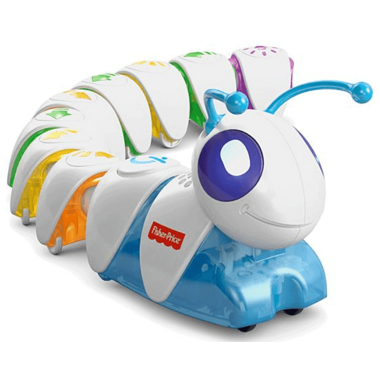 There’s even a motorized head segment with lights, sounds and blinking eyes that brings Code-A-Pillar to life! Ready … set … code! 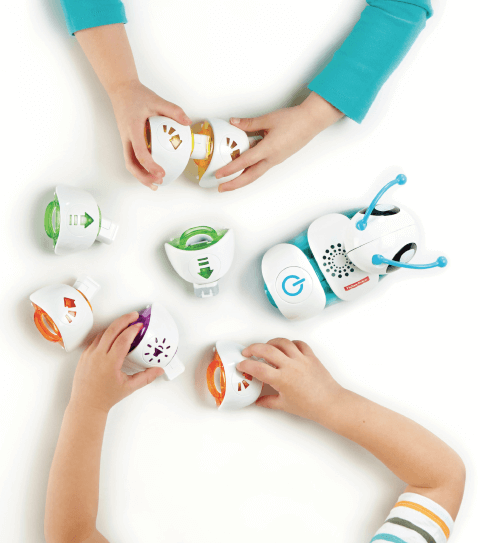 When kids connect the segments—in tons of different ways—to make Code-A-Pillar move left, then right, then forward, or wherever-- that’s sequencing! When they figure out a sequence that will create a path for Code-A-Pillar to reach a target, that’s programming (and problem solving, too)! It’s all coding—and it’s all fun! 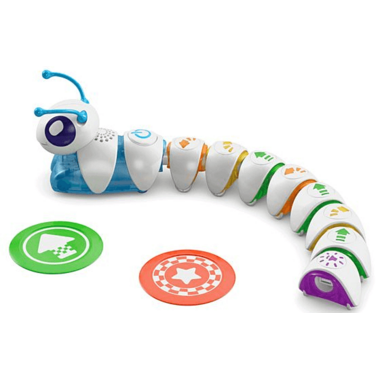 Code-A-Pillar is one of the new learning toys from Fisher-Price that goes beyond ABCs and 123s to help children learn how to think independently. Each toy fosters 21st century skills like curiosity, experimentation and problem-solving in ways kids haven’t seen before. They’re engaged in hands-on open-ended discovery that helps them become lifelong learners. Code-a-Pillar Expansion Packs are available and sold separately. Expansion sets include the Basic Pack, Master Moves, and Silly Sounds & Lights. Wow! What a toy! I gave it to my 3and 6 year old great-grandchildren , are they excited and try to find out the ways this caterpillar works with the different codes! So much to learn for them! My grandson FaceTimed me and showed it and said with excitement: "This is the coolest toy I've ever seen" and thanked me so much for this gift! My kids played with this at our public library. Lots of fun and a great learning tool. Teaches the very basics of coding as well as hands on problem solving. My 2 year old enjoyed it as much as my 5 year old. I think it would see good extended play for kids from 18 mths up til 6 years maybe 7. Older than that they will figure it all out too quickly and be done with it after the first day or so.